I know that all mammals (except humans) live the same number of heartbeats (about 1.5 Trillion). However, my Blue and Gold macaw has a resting heartbeat 10X mine and a life expectancy of 80 years, in other words roughly equivalent to an elephant or large whale. Why is that? What is different about the avian heart that gives it such a long life? We put this question to Neil Forbes, a specialist in bird medicine and the president of the European College of Avian Medicine & Surgery, based at Great Western Exotic Vets in Swindon. A little bit of explanation. The questioner suggests that his bird's heartrate is 10 x his own and I think that, as in many of these cases, some of these figures are wrong. 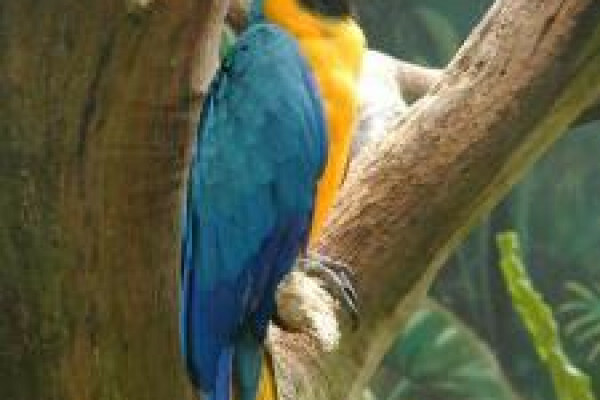 The resting heartrate of a macaw is published to be 127, rising to 350 when being restrained or upset or in flight. And the recommended lifespan of a macaw is 35-50 years as opposed to the 80 years which is suggested. Now taking those figures, that would work out with a heartbeat of 4.3-6.2 x 10^9 so, in fact, far less than the 1.5 trillion suggested. In reality I think the honest answer is that actually birds have less heartbeats than mammals and that isn't a surprise at all. The metabolic rate of a bird is significantly faster than a mammal. Rather similar to a car engine running a bit faster than another car and as such you would expect them to run out a bit sooner than a mammal, rather than a bit later. Previous Would an alarm clock attached to a light work well? Next Why do Jack Russell dogs sometimes run on three legs with a hind leg lifted?